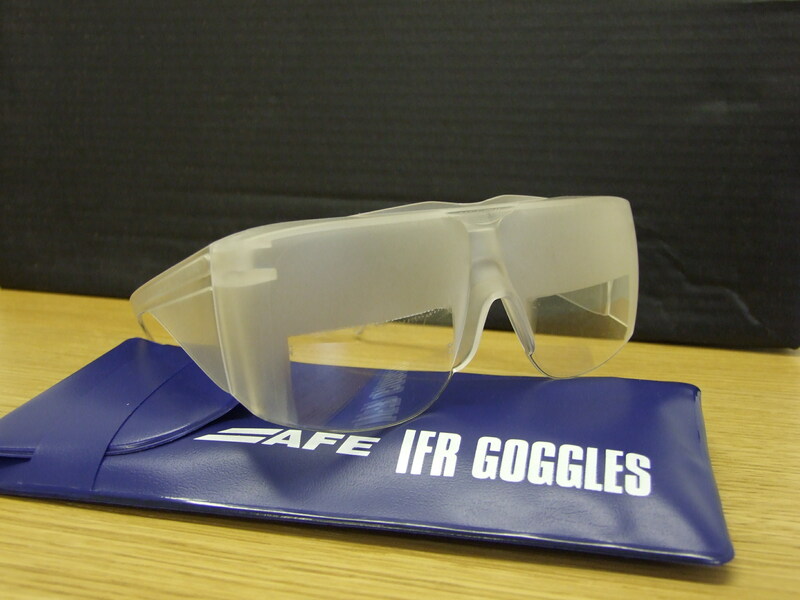 Catalogue » Aircraft Accessories » IFR Training » AFE IFR Goggles "Foggles"
Also known to their fans as 'foggles', the AFE IFR goggles are sued to simulate Instrument Meteorological Conditions (IMC) weather for instrument flying training. The student pilot merely wears the foggles and the view outside the aircraft is obscured by the opaque frosting of the lens and side arms, whilst a clear 'window' remains allowing the user to see inside the cockpit to view the flight instruments and operate controls. Suitable for use with headsets and can be worn over glasses, supplied in a protective case to reduce scratching.